← Can’t God make up His mind? The provocative title is true and intended to get your attention. Simply, the New Covenant is NOT with the Gentiles. That is not to say Gentiles can’t enter in, because Ephesians 2 and Romans 9-11 teach that they can, however, they immediately stop being Gentiles and become a part of Israel. Until one understands this and the attendant implications (Torah to be written on their heart), they simply do not understand Scripture nor can they correctly assemble prophecy. Hard to swallow, I know. Christian doctrine ignores these glaring pieces precisely because they do no understand them. I was a pastor. Seminary trained. I nor my professors understood these things, yet in His mercy, Abba is restoring the ancient paths (Jer. 6:16-19) and recovering His flock. Dare to ask God to open your eyes to ALL of His Word. This entry was posted in A Thought..., Debate/Discussion and tagged House of Israel, Joseph, Judah, New Covenant, new heart, Torah, two sticks. Bookmark the permalink. I am also am fond of telling my Evangelical friends there are no Evangelicals in the New Covenant. Actually this is often the ice breaker I use before encouraging them to understand that the New Covenant is exclusively with Judah and Israel. Pete, good series of short articles. Good ‘food for thought’. I have worked with seminary trained chaplains now over 30 years – still do but I am not clergy. What was the primary question you had or had answered that moved you away from your Western-Seminary Christian thinking to walking in Torah? The first burning question was, ‘what was the praxis of the Acts “church?”‘ Not far behind was research into the history of Christmas, then it was game on. Eyes opened… I began to critically hold every thing I believed to the Light if Scripture and began tossing man made doctrines in the trash where they belong. I have a Land Nav application – Known Point. Acts is a key Known Point. What took place from the end of Acts to say 4th century was a shock for me. My journey began on 30 Jan 15 with a prayer, ‘Lord, show me the Truth and a very real reply, I will. And here I am! :-) Blessings. Shalom and welcome. Good illustration. 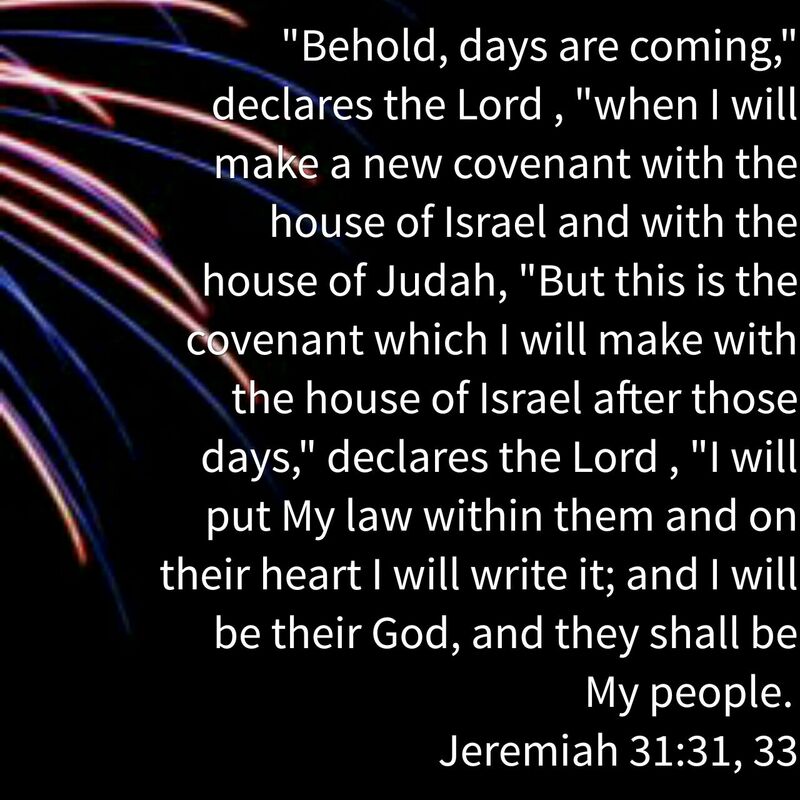 So, it appears that the “new covenant” is a marriage contract with Jews. Only the married ones who do the laws of the covenant can partake of the benefits of the covenant. Often, ‘Jew’ is assumed to be synonymous with ‘Israel,’ when Scripture actually tells a different story… House of Israel and House of Judah… Worth studying out. Pete, can you link your blog to Kelly’s Facebook page so we can ‘share’ to our own Facebook pages? It is frustrating not to be able to pass your stuff along to a larger audience!!! LOVE this and want to ‘share’ it!! Thanks, brother, for a well-said and well-presented statement. I think everything does go on her timeline. Check and see… Happy to share.